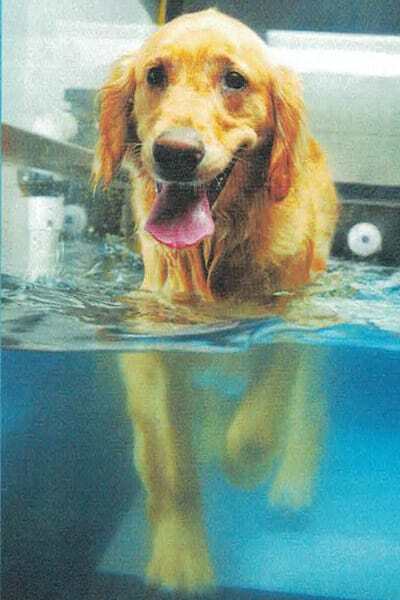 Flying Cloud Animal Hospital provides Canine Hydrotherapy and Physiotherapy for our client's pets and referrals. Hydrotherapy is directed at the treatment of chronic conditions such as arthritis, post operative recovery, weight management and conditioning for the canine athlete. Treatment is generally two times per week and consists of a session in the underwater treadmill and floor exercises. Pets are dropped off in the a.m. and picked up in the afternoon. If you are interested in this treatment option for your pet, please let our customer service representatives at the front desk know.